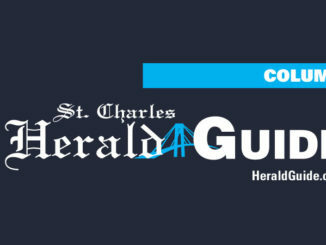 From left are: Landon Duvall, Landon Wyer, Jeremy Olmo, Dylan Lasyone, Trey Brown, Avery Hebert, Amaiya Toney, Janna Reilly, Ava Curole, Aiden Butler, Christian Lamers and Owen Fontenot. Teacher Bridget Summers’ art room at Lakewood Elementary has had numerous activities. 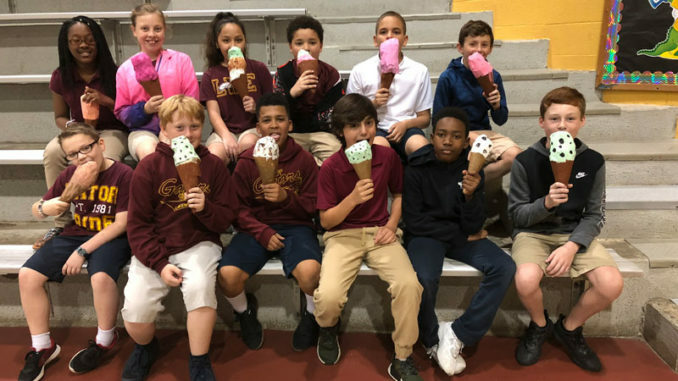 Fifth-graders created and painted paper mache’ ice cream cones. 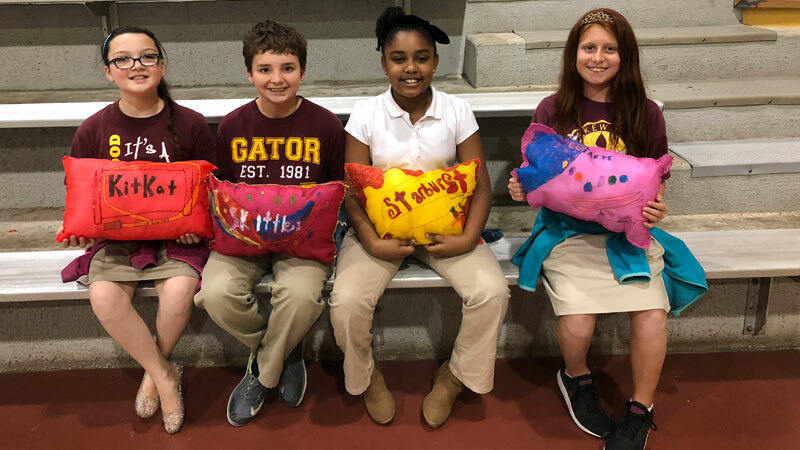 After learning about artist Claes Oldenburg, fourth-graders spent weeks hand painting, hand sewing and stuffing fabric to create soft sculptures that look like a bag of candy or chips. 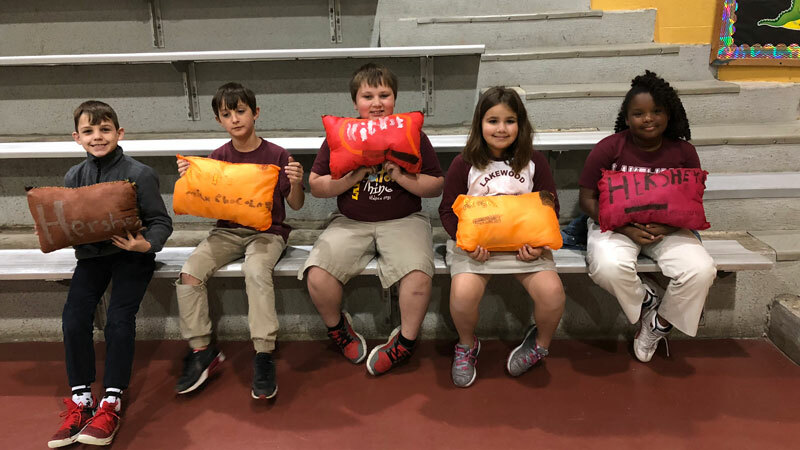 From left are Nico DeSalvo, Zachary Jewusiak, David Corley, Hailey Gatewood and Irelon Simms. From left are Ava Bernard, Michael Propps, Layla Lavigne and Lana Vieau.